The Painted Bird is a deeply dramatic story examining the immediate relationship between terror and cruelty on one side and innocence and love on the other. Although the novel itself has been perceived as highly controversial since its publication in 1965, it has won global recognition and several prestigious literary awards. It is the first and the most celebrated novel by the author of the novels Being There and Pinball – one of the most significant and striking writers of the last century, Jerzy Kosiński. “Just like millions of readers worldwide, I was captivated by the novel The Painted Bird at the time, and when I finished the feature film Tobruk in mid-2008, I decided to invest all my effort and skills into acquiring the film rights to this work. Eventually, I succeeded,” Václav Marhoul recollects the beginning of his challenging project. Initially, the lawyer Petr Ostrouchov and the cameraman Vladimír Smutný were the only people who knew about Marhoul’s intention to turn the famous novel into a film. The first official information was only released once the copyright was successfully purchased in 2010 after overcoming many difficulties. This achievement was followed by three gruelling years of writing seventeen versions of the script in cooperation with eight script editors, and the entire process was plagued with many doubts. “There were moments when I became overwhelmed by the feeling that I can’t do this, that I bit off more than I can chew,” Václav Marhoul admitted in one of the interviews. The Special Mention of the jury during the announcement of the Krzysztof Kieślowski ScripTeast Award at the Cannes IFF in May 2013 was the key impulse and motivation that confirmed the quality of the script. The success was especially valued, as around 400 scripts from all over Europe compete for the prestigious award each year, and only ten or twelve best scripts are selected. The preparations also involved the nearly eight thousand kilometres that Václav Marhoul travelled through Poland, Ukraine, Czech Republic and Slovakia over three years in the effort to find suitable locations. However, the hardest stage according to Marhoul was the period of more than four years required for obtaining approximately 160 million Czech crowns for the film’s budget..
Václav Marhoul rejects the ‘war movie’ label for his project The Painted Bird. Likewise, he refuses the notion that it would be a film about the Holocaust. 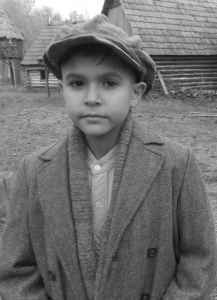 Looking back to 2010, when he started writing his script, he says he did not imagine how the timeless message of the lonely journey and suffering of a small Jewish boy during World War II would be even more topical today. The recent events in Europe – the migration crisis, spread of xenophobic prejudices and hatred without any knowledge of the facts… all this made his message even more urgent. The Painted Bird will be an exceptional project from the film-making perspective, which is obvious not only from the estimated time-frame of 105 filming days, but also from the decision to film in black and white, in the Cinemascope format using 35 mm negative film. 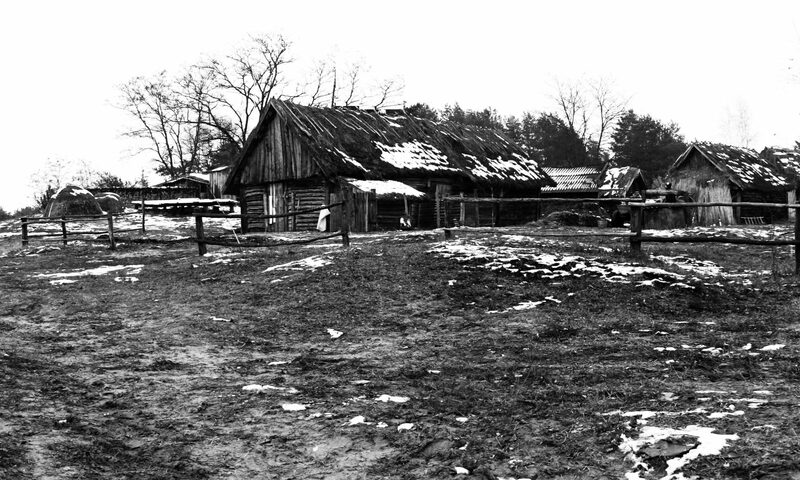 After two days of preliminary filming near Prague, filming will begin on 23 March in Volyn, Ukraine in the village of Svalovichy. The subsequent 6 stages of filming in Slovakia and in the Czech Republic will follow, and the filming process will be concluded in June 2018 in the Polish town of Świebodzice. The world premiere is planned for May 2019, and The Painted Bird should arrive in Czech cinemas in September 2019. Václav Marhoul’s (screenwriter, director, producer) team includes Vladimír Smutný (director of photography), Jan Vlasák (production designer), Luděk Hudec (film editor), Pavel Rejholec (sound designer), Helena Rovná (costume designer) and Ivo Strangmüller (make-up designer). The main role played by Petr Kotlár. 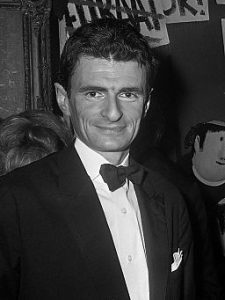 Jerzy Kosiński (1933 Łódź – 1991 New York) drew inspiration for his first novel from his own experience and traumas – he was forced to hide in the Polish countryside during the war due to his Jewish background. Kosiński borrowed the title “The Painted Bird” from the rural environment. This expression refers to a custom once popular in the countryside – people used to catch birds and painted their feathers in striking colours. After this, they released the painted bird back into its original environment. However, the other birds would never accept the painted bird back. It would be perceived as an enemy, a foreign element in the flock, and was pecked to death. The main character in the novel feels like a painted bird, as he encounters fear, scorn and cruelty all the time and everywhere simply because he is different. The main character of the novel is a young boy, who himself is THE PAINTED BIRD. The Painted Bird is the third feature film for Václav Marhoul (1960, Praha) as the scriptwriter, producer and director. His previous film, Mazaný Filip (Smart Philip, 2003) and in particular Tobruk (2008) received numerous Czech and international awards including “Český lev” (Czech Lion). He was also involved in the production of films Pražská pětka (Prague Five, 1989) and Kouř (Smoke, 1990), and was the producer of the film Postel (Bed, 1998). Václav Marhoul graduated from FAMU, specialising in production, and worked successively for Czech Television, Short Film, and AB Barrandov Film Studios first as Assistant Producer and later from 1990 to 1997 as the General Director. In 1997, he established his own company Silver Screen s.r.o., focusing on the creation of feature films and organising theatre and visual arts events.